CV Arcade is officially open ! 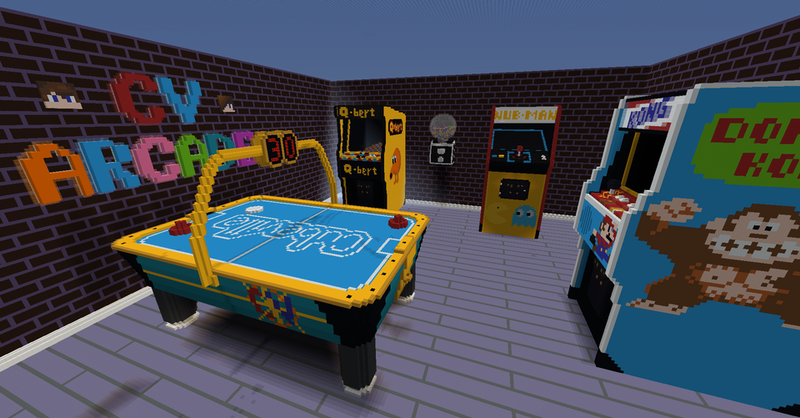 / CV Arcade is officially open ! 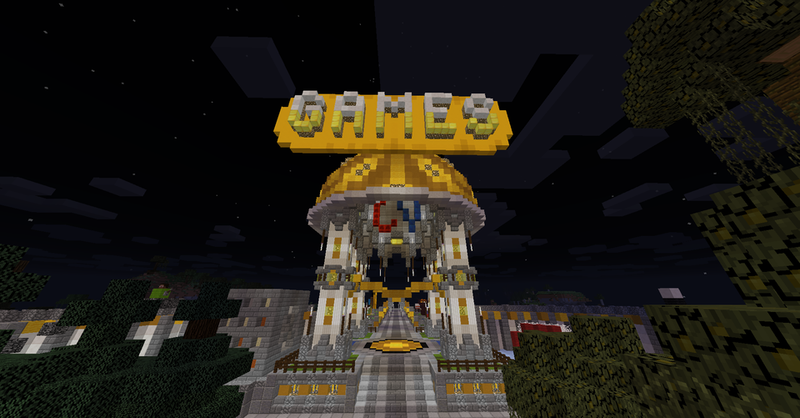 CV Arcade is now officially open, with the key attraction being a fully functional multi-player NUBMAN game ! 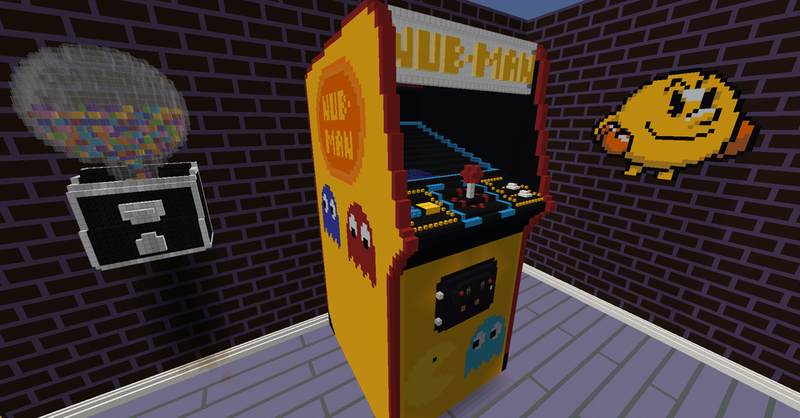 If you ever wanted to be pacman, or one of his ghostly friends, then now is your opportunity. Have an awesome time completing multi level challenges with one player as "Nubman" and the others being ghosts. The game is complete with power pills, and side teleports to provide endless hours of fun. 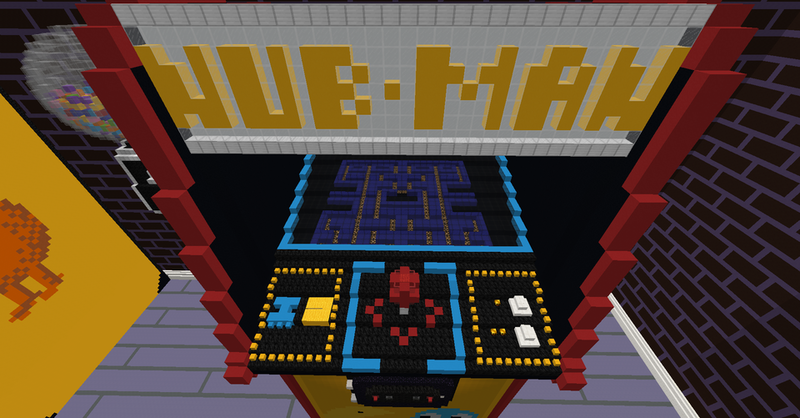 When you arrive in CV Arcade you can jump down to the floor, and make your way over to the Nubman machine. You will find two gold launchpads, which will shoot you up towards the game controls. 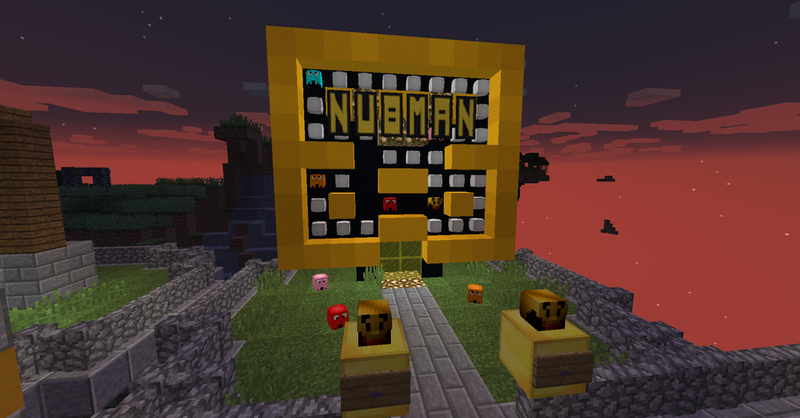 - Nubman requires a minimum of 3 players, and a maximum of 5. When you are ready to play, all players should stand near the joystick (within the signs) before pressing one of the stone buttons on the joystick. If you have too few, or too many players in the area the game will not start. 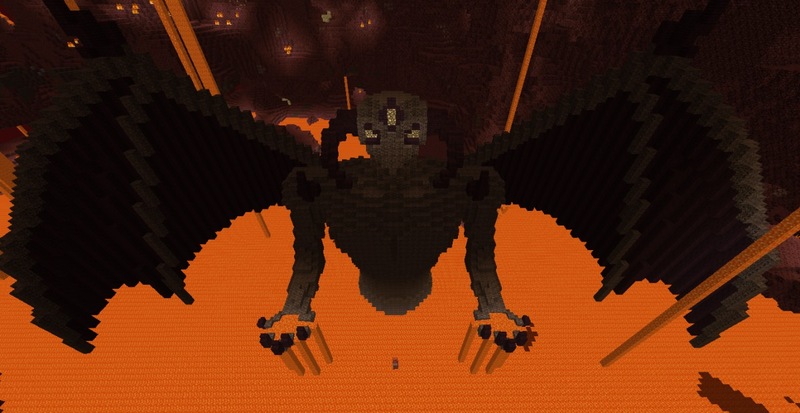 - All players will be teleported into the game, with one random player becoming Nubman, and the others Ghosts. The Ghosts will start in the centre of the maze, and Nubman at the bottom. - As Nubman your goal is to run over all the red stone lamps, which will turn them off. There are four “Power Pills”, one in each corner, which will allow you to eat the Ghosts for a short period of time. This is also indicated with a sound effect, so it's recommended to play with your volume on. You can use the teleport gates on the sides of the maze to exit one side and appear on the opposite one, and once you have turned off all the lamps you will progress to the next level. To complete the game, you will need to complete all the levels without being eaten by a Ghost. You have one life only, and five fun levels to complete. - As a Ghost your task is simpler, eat Nubman. You should be careful however, as if Nubman has eaten a Power Pill then he can eat you. In the event of you being eaten, you need to return to the centre/start box in the middle of the maze to regenerate. If you catch Nubman the game ends and the Ghosts win. Please note: Nubman is still in Beta phase testing, so if you encounter any issues please post them here, or place a modreq ingame. RE: CV Arcade is officially open ! wow... what can I say.. its... rofl/cool. I luv eet. But it was fun .. if this old lady could understand what it was she was doing. rofl. Wow! The Nub man game is awesome!! Thank you all staff you made this game!